Life is Strange, in case you haven’t played it yet, is a fantastic game. Sure, there’s one somewhat irritating fetch quest in the middle of episode 2. And yeah, the dialogue style might take some getting used to. But these are minor imperfections in an otherwise stellar concoction of puzzle solving, exploration, and heavy decision making. There’s a lot to praise about this game: from its realistic characters and location-specific slang, to the game’s unique take on the choose-your-own-consequences model established by Telltale Games. But more than any other aspect, what strikes me most about the game is its rich, compelling visual language. 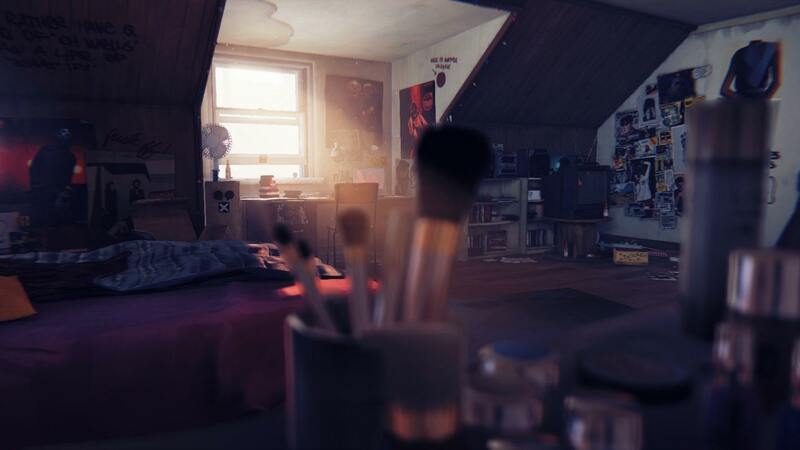 This is a game about a would-be photographer, so the fact that Life is Strange features such strong visual flair feels appropriate. That being said, it’s rare to find a game with as firm a grasp on how to show rather than tell: the scenic view from the lighthouse overlooking Arcadia Bay, for example, tells more about the small fishing town than a whole bunch of expositionary dialogue might have in its stead. The writers of this game respect the power of the image, to take hold of the imagination. 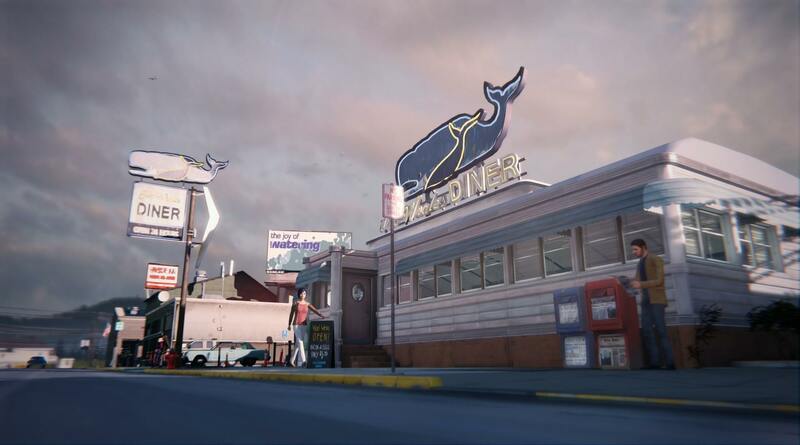 As a perfect example, the first two episodes of Life is Strange end with montages. In just looking at the first one, which is spoiler free, we see firsthand the level of emotionally-charged visual language Dontnod are operating on. Notice that none of these sequences feature dialogue: what they are supposed to convey – both emotionally and narrative-wise – is achieved through these images alone. Starts at 1:53 to avoid spoilers. Also, going directly to youtube may reveal other video titles that contain spoilers. Watch on youtube at your own risk. Both of the montages are framed as key sequences in episodes 1 &2, precisely because of how directly their tone and presentation speak to the heart of the themes of Life is Strange. This is why I found much of the complaints about the dialogue in the game to be missing the point: the dialogue is just the surface level here. In order to emphasize the awkwardness of being a teenager, the writers put in some clunky dialogue to amp up the camp factor. 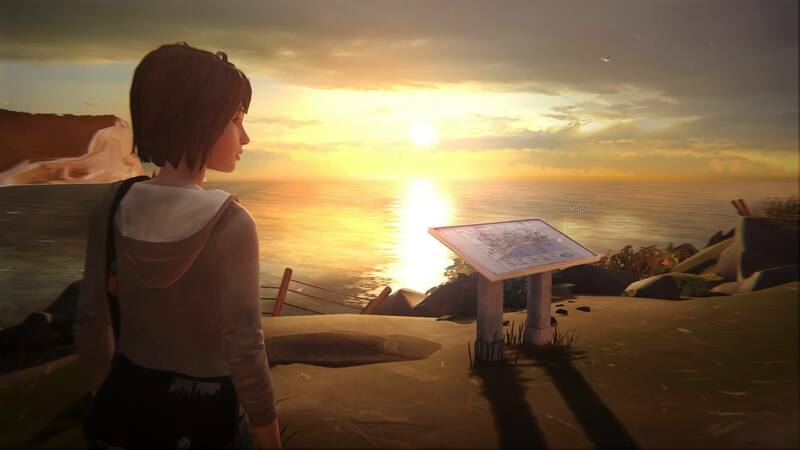 But this is hardly noticeable once the game really picks up steam: and even if it continues to bother you, the point is the so-called ‘cheesy’ dialogue isn’t even where Life is Strange does most of its communicating. Instead, it does so through pictures. I don’t want to spoil a thing about the game’s story for those who haven’t played it: so without getting into details, I’ll just say all three episodes are rife with cinematic moments that someone like David Cage could only dream of achieving. This isn’t just videogames mirthlessly parroting cinema: this is videogames inventing a new way of achieving the same emotional possibilities of film without replaying film’s clichés. There’s a later scene in episode 3 where you see two characters just lying in bed together, once again without speaking. The entire room is basked in a rosy red hue, from a flag draped across the window. You can almost feel the soft breeze as it flutters inside. The music in this game is equally impressive and appropriate, as acoustic guitars gently strum out the aural embodiment of pure bittersweet nostalgia. On paper, it sounds corny. But then again, that’s because I’m explaining it in words as opposed to images. So if you haven’t already, give Life is Strange a try. It’s an incredible game that gets better with each episode – and with episode 4 set to release soon, it’s the perfect time to catch up.